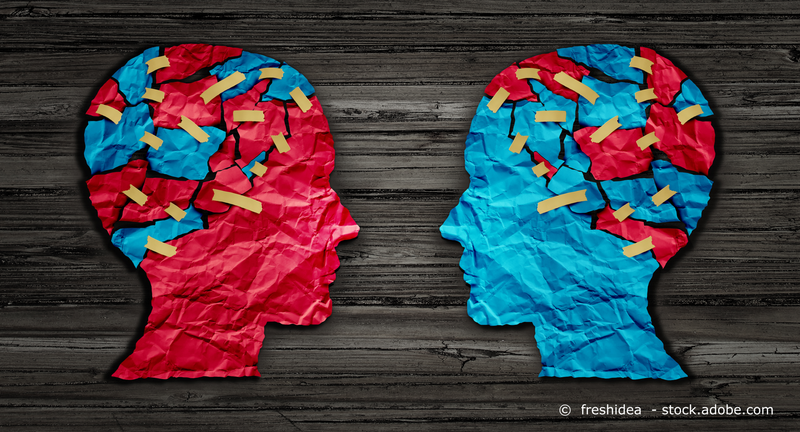 Whether or not our basic patterns of thoughts and feelings, our personality, are related to politics is a long-standing question in political psychology. Research bridging psychology and political science is foremost concerned with the deep-rooted individual differences, such as basic value orientations, moral principles, or personality traits, that shape people’s political preferences. Such enduring factors can help us to understand why people are more likely to support certain political issues or parties over others. Our recent study from Germany therefore explores how individual personality traits, which affect social interaction and cognitive styles, shape our political leanings. Recent research argues that political preferences reflect a person’s thoughts, feelings, motivations, and their personality (e.g., Jost, 2017). In other words, several theories boil down to a common argument: the needs and interests expressed by our personality provide a motivational basis for the left-right/liberal-conservative cleavage (Duckitt & Sibley, 2010; Jost, Federico, & Napier, 2009). To date, much of the scientific literature has summarized personality, i.e., stable individual differences in behaviors, thoughts and feelings, by using the “Big Five” model (e.g., John, Naumann, & Soto, 2008). The Big Five is a comprehensive representation of broad personality domains, summarized by five major traits: (1.) Open-Mindedness (or Openness), a tendency to seek and appreciate new experience and explore what is novel or unfamiliar; (2.) Agreeableness, a tendency to be concerned about others and influenced by the concerns of others; (3.) Conscientiousness, the strive for goal accomplishment like being organized and taking obligations seriously; (4.) Negative Emotionality (or Neuroticism), the frequency and intensity of negative emotions and thoughts; and (5.) Extraversion, or the level of energy directed outwards to others (vs. introversion). At least three traits of the “Big Five” personality dimensions are consistently intertwined with political preferences; namely, Open-Mindedness, Agreeableness, and Conscientiousness (Caprara & Vecchione, 2017; Duckitt & Sibley, 2010; Gerber et al., 2011). Hence, these traits are believed to provide the basis for our ideological attitudes. In a recent study conducted in Germany, my colleagues and I (Aichholzer, Danner, & Rammstedt, 2018) explored in more detail how individual personality traits shape our political leanings. Our study examined the so-called narrow “facets” of the “Big Five” dimensions, i.e. a more fine-grained level of personality traits. For example, the traits Aesthetic Sensitivity (i.e., to value and to be fascinated by art), Intellectual Curiosity (i.e., to be curious about many different things or being a “deep thinker”), and Creative Imagination (i.e., ingenuity, an ability to come up with original ideas) would then constitute more specific facets of the domain Open-Mindedness (Soto & John, 2017). Participants in our study were recruited using a general population quota sample from Germany. A total of 1,224 respondents were surveyed online using the German version of the BFI-2 personality scale (Danner et al., 2019), a questionnaire to measure personality profiles. In addition, we included questions on political attitudes and partisan preferences. Our study found that various Open-Mindedness and Agreeableness facets were associated with left-wing/liberal attitudes and party preferences. Supporters of right-wing parties generally also differed in showing greater Conscientiousness. A notable finding was that supporters of the populist far-right party “Alternative for Germany” (AfD) were characterized by relatively low Aesthetic Sensitivity and low Intellectual Curiosity. These voters also scored particularly low on Agreeableness, especially showing a lack of compassion and interpersonal trust. These findings regarding voters of populist right-wing parties are, by and large, consistent with a recent study by a colleague and me, which was conducted earlier in Austria (Aichholzer & Zandonella, 2016). Furthermore, the findings seem to agree with another recent study that we conducted in Austria (Gründl & Aichholzer, 2018). Both studies suggest that uncertainty avoidance, which is a cognitive avoidance motivation, represents a common motive for populist-radical right voting. The findings also corroborate the notion that an antagonistic personality type (low Agreeableness) favors populist views, more generally (Bakker, Schumacher, & Rooduijn, 2018). Our study on German voters offers a more nuanced picture regarding which personality facets in particular are connected to political ideology. Based on our findings we suggest that the way people approach social interaction (Agreeableness facets) or the way people cope with novelty and how they cognitively elaborate on things they encounter in their lives (Open-Mindedness facets) can be matched with a preference for certain ideologies or policy preferences (see also: Jost, Federico, & Napier, 2009). Our study makes two key contributions to the literature, which furthers our understanding of the psychological basis of political divides. On the one hand, our findings provide further evidence that our personality in part predisposes which political goals or ideologies we are more likely to pursue. As Caprara and Vecchione (2017) have suggested, such a personality-ideology link could also mean that we select political candidates whose personality and policy goals match with our personality profile, following a similarity‐attraction principle. Our study might as well support a second view that is more interactive. This view considers a matching of voters through political communication of parties. We know that voters often deliberately select political messages that fit their views in the first place, what scholars have labeled “motivated reasoning” (e.g., Taber, Cann, & Kucsova, 2009). Equally, the less complex language typically used by conservative/right-wing politicians but also populist parties (Bischof & Senninger, 2018; Schoonvelde et al., 2019) might be more attractive to individuals who score low in cognitive elaboration or tolerance of uncertainty. In turn, the “good vs. bad” communication style and more extreme stances of populists might resonate more with individuals who score low in Agreeableness (Bakker, Schumacher, & Rooduijn, 2018). The way politics is communicated might hence provide some explanation for why certain personality traits go together with voting populist right-wing parties. Politicians may therefore strategically use language in political communication to appeal implicitly to their constituents’ personality make-up. Both political psychologists and communication scientists should therefore address the question: what kind of ideological framework and what kind of communication style will attract which types of voters? The study of individual personality predispositions will continue to be an essential field of inquiry for answering such questions. 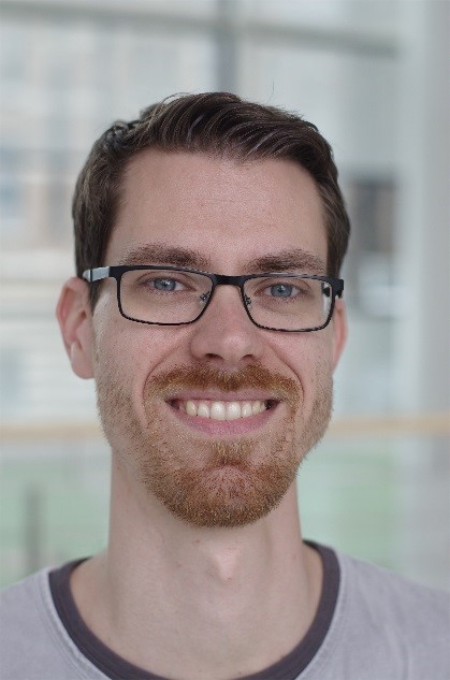 Julian Aichholzer is a post-doc researcher at the Department of Government at the University of Vienna. His research focuses on political attitudes and behavior, political psychology, and measurement issues in surveys. He received his PhD in political science from the University of Vienna and has published in journals such as Journal of Research in Personality, Personality and Individual Differences, Journal of Elections, Public Opinion & Parties and West European Politics. The International Society of Political Psychology is an interdisciplinary organization representing all fields of inquiry concerned with exploring the relationships between political and psychological processes. The ISPP Blog is maintained by Lucas Czarnecki and Sumedh Rao. If you are interested in contributing an article or have any questions about the blog, please email them or visit the ISPP Blog’s webpage. Caprara, G. V., & Vecchione, M. (2017). Personalizing politics and realizing democracy. New York: Oxford University Press. John, O. P., Naumann, L. P., & Soto, C. J. (2008). Paradigm shift to the integrative trait taxonomy: History, measurement, and conceptual issues. In O. P. John, R.W. Robins, & L. A. Pervin (Eds. ), Handbook of personality: theory and research (pp. 114–158). New York: Guilford Press.